The end of the Kamakura era brought two important sword smiths to Mino Province, Kaneuji (兼氏) and Kinjû (金重). Kaneuji came from the Yamato Tegai school of Yamato province and Kinjû (金重) moved to Mino from Echizen province. Kaneuji (兼氏) studied under Masamune (正宗) and became one of the famous Masamune Juttetsu. After studying with Masamune (正宗), he moved to Mino and established a forge in the town of Shizu (志津). He is known as Yamato Kaneuji (大和包氏) when we discuss his working in Yamato or works done in the Yamato tradition. Please note that he used the kanji (包) for the word “Kane” in his signature when he worked in Yamato. He is also known as Shizu Saburo Kaneuji (志津三郎兼氏) when we are discussing the time period after he moved to Mino and established a forge in Shizu (志津). Often he is known only as Shizu (志津). He produced swords from the end of the Kamakura era into the Nanbokucho era. 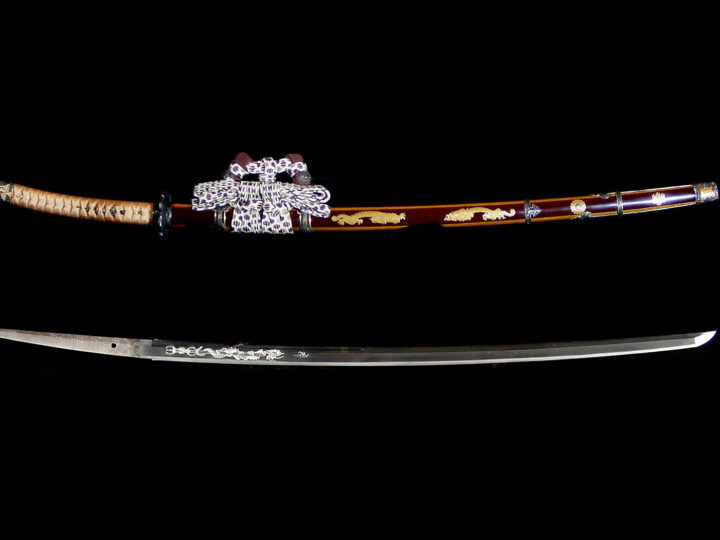 His ‘Shizu” (志津) style of workmanship is very close to Masamune (正宗). His kitae is very fine resulting in a texture of ko-mokume with some masame hada in places. There is an abundance of ji-nie resulting in yubashiri and chikei in areas. Masame hada will be especially noticeable in the shinogi-ji. His hamon is made up of two basic types, wide and narrow. Those made in the wide variety are primarily done in nie of a pattern of o-midare, o-gunome midare, or notare midare. Within the hamon in certain areas there will be togari-ba. Those made with a narrow hamon will also have togari-ba. 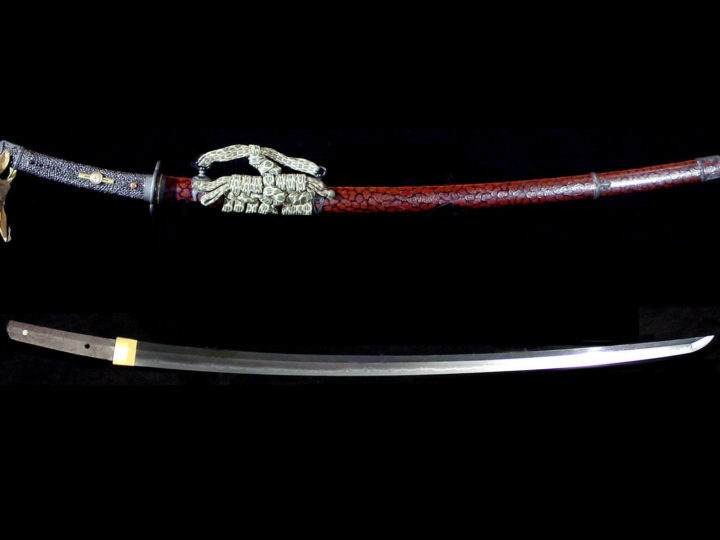 Where the width of the hamon is the narrowest, it will be very close to the hasaki (cutting edge) and the ashi from the midare will run out into the cutting edge and are done in especially fine nie. Inazuma and kinsuji will be found as well as sunagashi. (直江志津) group of smiths. 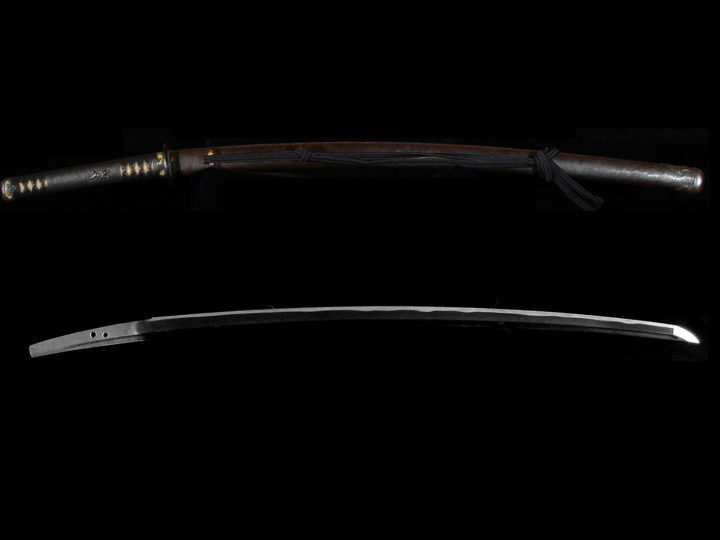 Smiths in this group continued to produce swords through the early Muromachi era. Other smiths representing this school are Kaneyuki (兼行) , Tametsugu (為継) (a student of either Go Yoshihiro (郷義弘) or Norishige (則重)), Kanetoshi (兼利), Kanetoshi (兼俊), Kanetomo (兼友), Kanehisa (兼久), Kanenobu (兼信), and Kanenobu (兼延). Naoe Shizu (直江志津) workmanship is different from that of Kaneuji (兼氏) in that the sugata is grander than Kaneuji’s, the jihada has more masame combined within it, the jigane is whitish, and the hamon is mixed with considerable togari gunome. 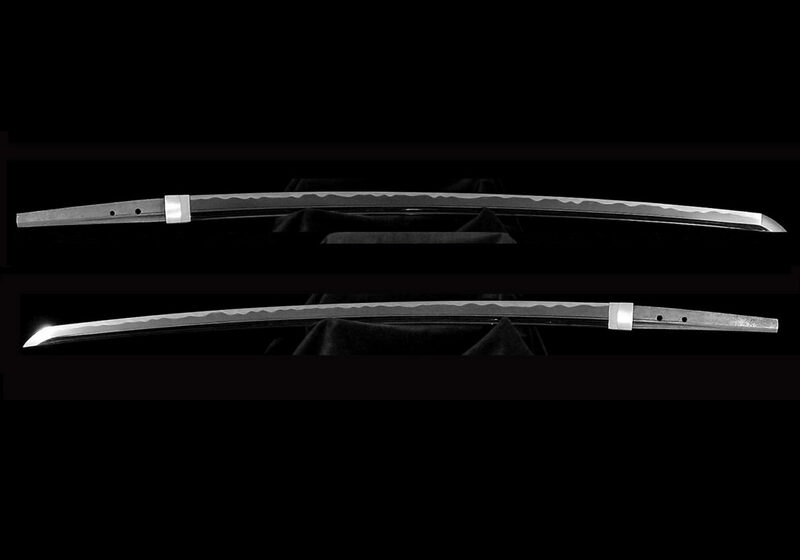 SUGATA: Wide mihaba and an o-kissaki, both of which lend a grand appearance. Tanto are rare. 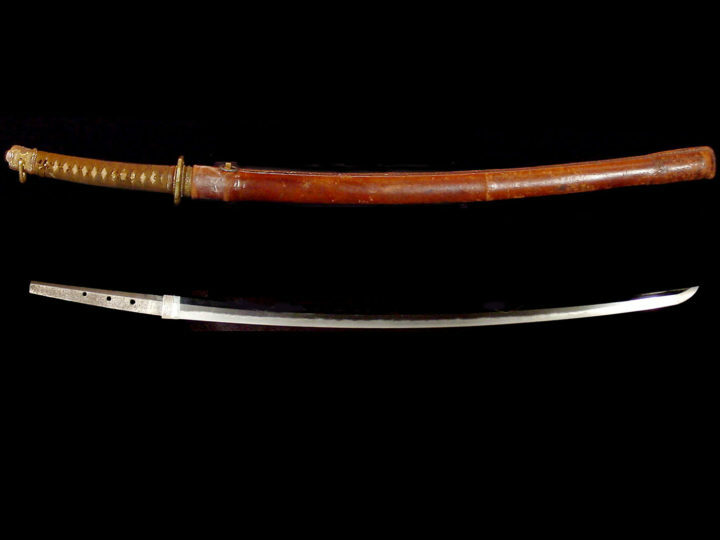 Hira-zukuri ko-wakizashi with wide mihaba and sori are popular. JITETSU: Most popular is a mokume hada combined with a flowing itame that is covered in ji-nie. Masame hada will be found and it will tend to stand out near the hamon or shinogi-ji. The jigane looks somewhat whitish and hard. There will often be shirake style ji- utsuri. HAMON: The most common will be a combination of gunome-midare and o-midare with a habuchi covered in ko-nie. There will be areas of togari-ba and ko-ashi and yo. Also streaks of sunagashi and ko-ashi activity will be found on occasion. BÔSHI: Various types will be found including midare-komi, jizô, hakikake, and even suguba. The kaeri will usually be long. NAKAGO: The yasurime are kiri, katte-sagari, or sometimes higaki. HORIMONO: In the case of bo-hi, the top of the hi is lower than usual. Bonji and suken are seen among the hira-zukuri ko-wakizashi.